in southern California were different (of different backgrounds) they were largely "peaceful" as in they didnt effectively fight the Spanish. However they squabbled and fought regularly across tribes and language groups/. 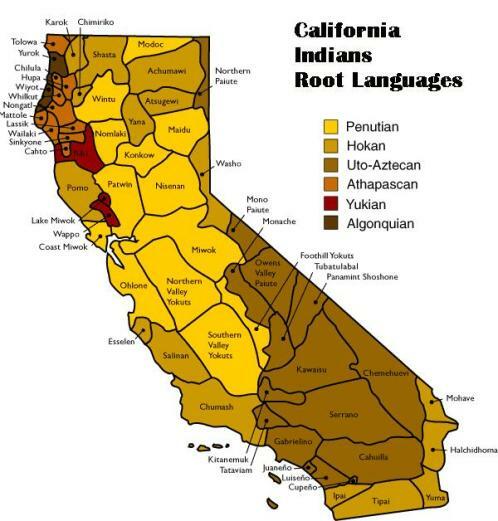 As an example, the Chumash both traded with and fought the more southern so called "Gabriellino"--they spoke different base languages. I know one of the last "juaneno" people who speaks their language. They have lengthy stories of wars. Populations in Ca collapsed through disease simultaneously with the mission system. Had the population stayed higher they would have had a fighting chance. The collapse dissolved effective resistance according to the stories of the Juaneno. They were defeated before a fight. As an example, the Uto Aztecan (as in speakers of the Mexican Aztec language) speakers emigrated from the south battling their way in for resources in very ancient times.